Spacious rancher in a single level in need of some TLC. Large bedrooms, formal dining room plus a cozy family room with fireplace. Upgraded kitchen and nice hardwood floors. Very large backyard with swimming pool. Air conditioner, roof less than 10 years new. 2-car detached finished garage with workshop. Possible side access to the large cemented area of the backyard. Almost 11,000 square feet flat lot. 2 miles to BART. 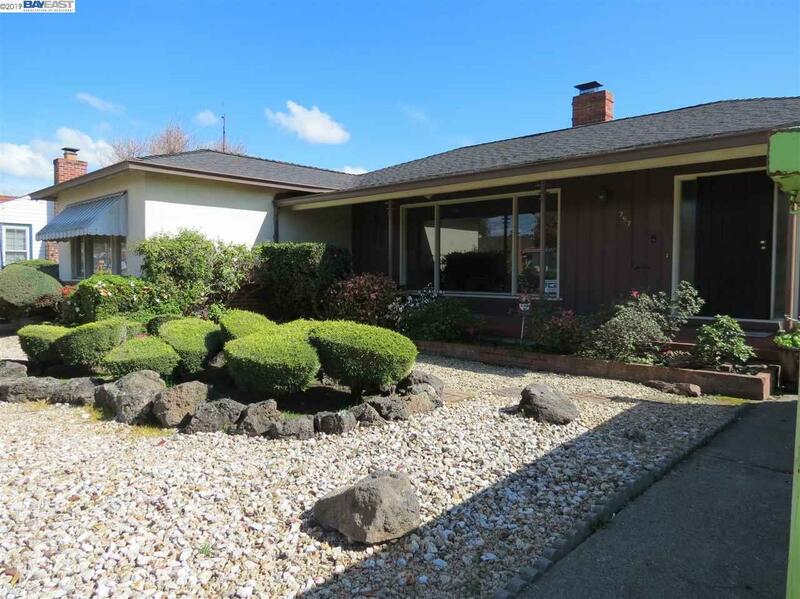 Right off I-580 OPEN HOUSE SUNDAY APRIL 7TH from 1 to 4 PM.